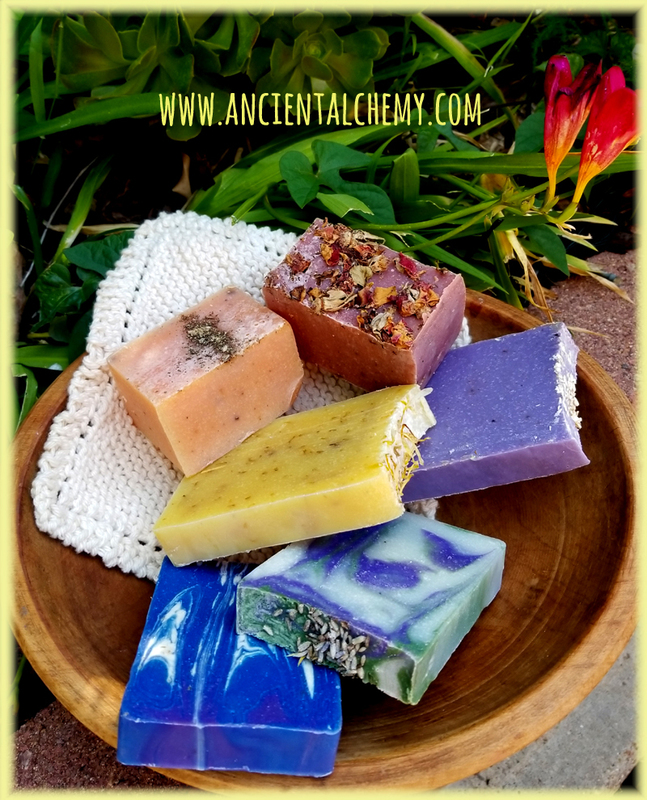 Carol Ochs: Ancient Alchemy - Old World Handcrafted Soaps, Potions and Other Crafty Curiosities! Retailers! 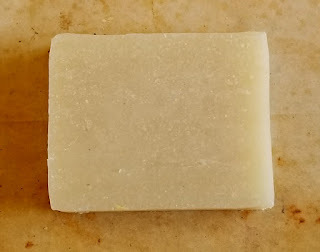 Add handmade soap to your offerings! Hello, Good People and Happy New Year! May it be healthy, productive, and magically inspiring! We're personally excited to tackle it! Hope you are, too! - New bar size! We've changed our bar size to a more ergonomic, great feeling size! (See photo.) Previous bar size stock will be used-up while to convert to the new size! Don't worry custom-bar shoppe owners, the old size is still available at the minimum batch size...you won't have to change your labels, unless you want the new bar size! - We are discontinuing the half-bar size. While we remove this option from our cart, we will honor any half-bars ordered that still present as available. Please be patient while we do the work of removing this option from our cart for all varieties. Half bars will be an option again during holiday season only, or for custom or bridal soaps ordered at a minimum order of 24 half-bars. - Last year we heard many of you lament "There's so much at your site, I get overwhelmed!" Well, we've discontinued some soaps that are not as favorite as others. AND, we've removed our art and fiber good options. Those can be found separately at their own venues. Links to each are under "Other Crafty Curiosities" on our menu bar. We hope this streamlines things a bit more for ya's! We're continuing to review our site and make change. We are always open to your feedback! Wishing you a clean, beautiful 2019! Use code JanFeb2019 (case sensitive) in your online cart on retail orders and receive 10% off all orders Jan. thru Feb.! 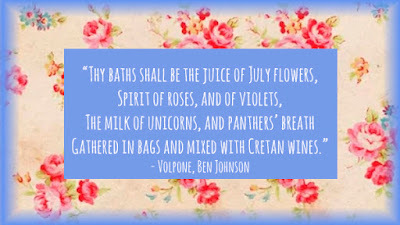 Are your baths the juice of July flowers??? Bridal shower, wedding favor, party or event soaps! Bridal shower and wedding favor handmade soaps! Going to Comic-Con? Stop by the Art Show at the Manchester Grand Hyatt! My art will be on display and for purchase at Comic-Con International 2018’s Art Show at the Manchester Grand Hyatt, July 19 – 22! OPEN TO THE PUBLIC, you don’t need a Comic-Con badge to attend the Art Show! C’mon out and support Science Fiction and Fantasy Art!! 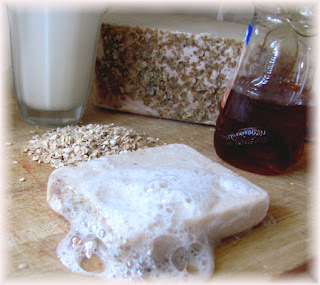 Cream, honey & oats soap! Heavy whipping cream, honey and ground oats for your complexion! And a sweet honey-milky scent you'll adore! 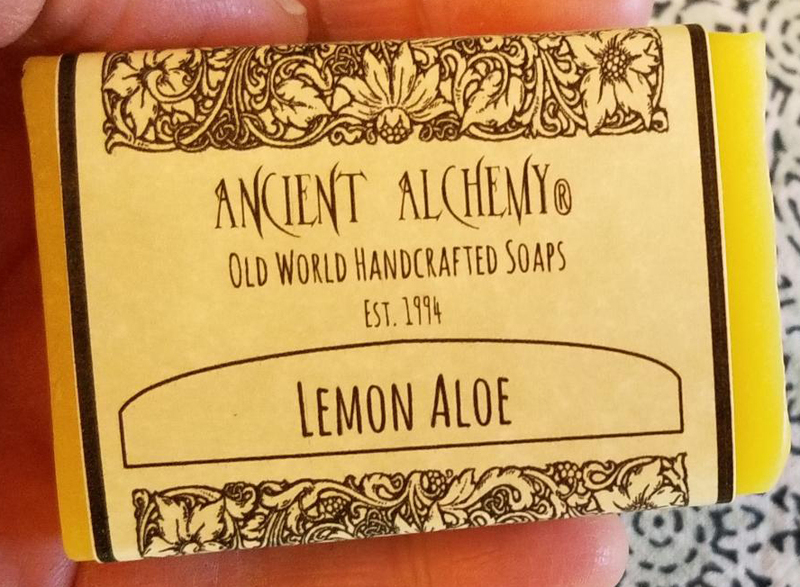 Ancient Alchemy - June Soap Sale! Flower seed-embedded handmade soap labels! Perfect for your wedding or party favors! 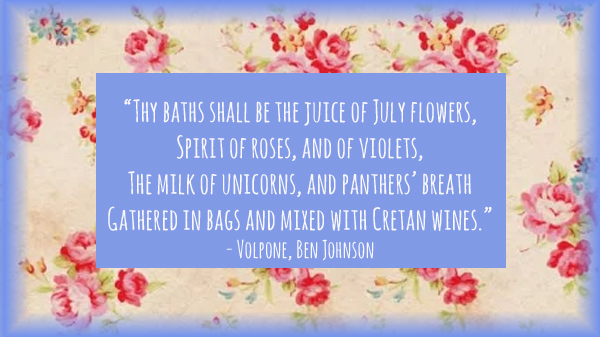 Give your wedding or party guests more than premium handmade soap as a favor, give them a pot of flowers to enjoy! Our flower seed-embedded handmade lotka heavy paper labels can be planted, and contain red corn poppy, snapdragon, catchfly, English daisy, evening primrose, bellflower, foxglove, lilac, monkeyflower, and creeping thyme. Directions for planting on label. Share your love of naturalness, gardening and recycling ethos! Carol Ochs Arts: Simply Soap, Wild Oaks Art, & Enchantasies! 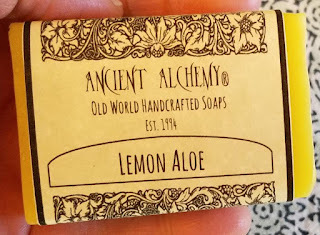 Ancient Alchemy - Old World Handcrafted Soaps, Potions & Other Crafty Curiosities! I have searched and found you, contact me urgent. New Art - "Fire Element"
Artists, make money with your art! Clear Bags for product storage and display. Want to participate in The Next Chapter? the Fantasy Artists of Etsy blog has moved! 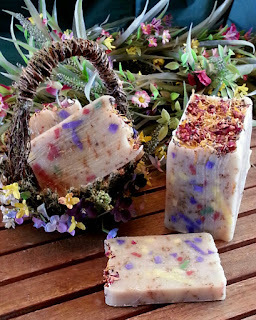 Carol Ochs Arts - Handmade Artisan Soaps & Bewitched Fantasy Art, and Fiber Arts! Copyright Carol Ochs. Images and text the property of Carol Ochs. All rights reserved.. Awesome Inc. theme. Theme images by mammuth. Powered by Blogger.